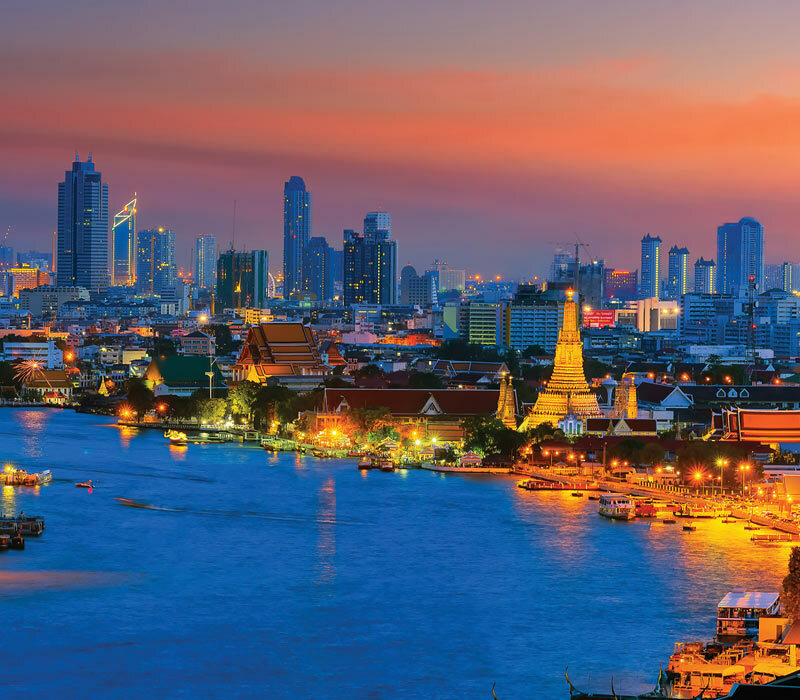 Bangkok, one of the world's most attractive tourist destinations comprises of complex multilayers of heritage, traditions, religions and ethnicities. In the past, Bangkok thrived with travelers and traders from China, India and Europe who witnessed life on Chao Praya River and canals with riverboats, rafts and rice barges. Missionaries, diplomats and artists recorded their experience of Bangkok with overwhelming joy and delight. Comparison between Bangkok and Venice became popular as visitors frequently viewed Bangkok as "Venice of the East". Today, Bangkok as mega city is sprawled with condominiums, malls and skyscrapers. 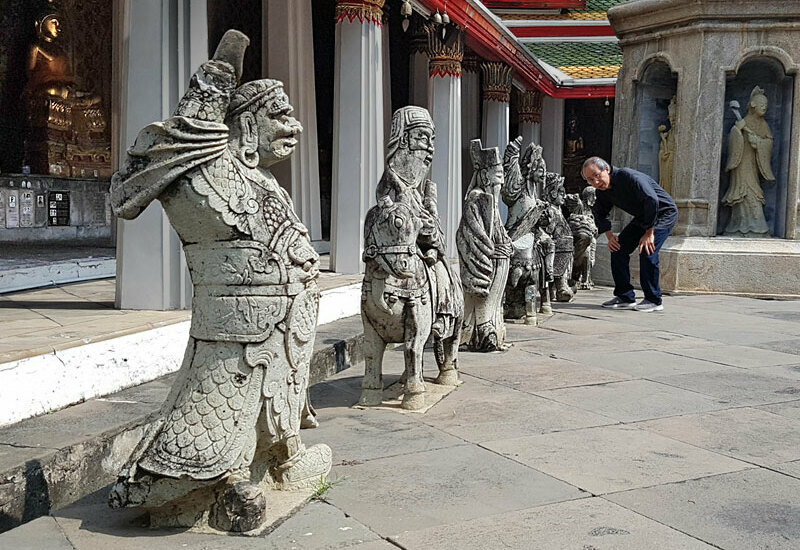 More than ever, visitors are attracted to Bangkok for leisure, warm climate, business, hospitality, cuisine, entertainment and spiritual enlightenment. Bangkok as city of art and culture is full of rich tradition, creativity and contemporary art. Renowned for heritage, hospitality, entertainment and gastronomy, Bangkok will serve as a grandiose venue for exciting international contemporary art. Bangkok Art Biennale 2018 will be the first biennale in Bangkok and a new alluring destination for international art scene. Artists, art enthusiasts, writers and media converge in Bangkok for creative encounters. The second Venice Biennale took place in 1897, the same year when King Rama V visited Europe for the 1st time and he actually paid a visit to the Biennale as well. The visit was documented as well as the story about the Siamese King buying some of the works of art exhibited at the biennale. 10 years later in 1907, King Rama V’s second visit to Europe is evidence of his interest in the festival. It was the period when Thailand, or Siam at the time, was going through a great deal of changes as a result of the country’s modernization and this sort of taste-making process. This is the part where art got involved. He would visit art exhibitions and purchase some of the works and have them shipped back home; it was all a part of an attempt to show that the people of Siam were culturally civilized. At the very same time, King Rama VI who was the appointed Crowned Prince, was studying in Europe and he joined King Rama V’s visits at different art exhibitions. The participation led to the idea of Siam taking part in the event. Later, under the reign of King Rama VI, in 1911, the Turin International happened with Siam’s participation and construction of the Siamese Pavilion. The structure had Italian architects Carlo Allegri and Mario Tamagno overseeing the design and construction. The pavilion was built in Siam before it was transported to Turin to be reassembled. Brought along with the pavilion were local craft products, which were exhibited in the pavilion. After the exposition was over, King Rama VI wished to have this type of exposition held in Bangkok. He then granted the land known as Sala Daeng field (a part of that expansive land became today’s Lumpini Park) to be used as the site where the exposition would be held. The plan was made and everything was being prepared when the First World War struck, causing the project to be terminated.